Nearly 10 million seniors are having difficulty paying for housing – and the problem is growing. Housing experts typically recommend that people keep their housing costs below a third of their income. But one in three Americans over age 65 are spending more than that on their rent or mortgage payment, utilities, property insurance, maintenance, and other housing costs, according to a new study, “Housing America’s Older Adults,” by Harvard’s Joint Center for Housing Studies. If the senior housing problem hasn’t reached crisis proportions yet, Jennifer Molinsky, who wrote the center’s report, predicted that it will if nothing is done to increase the supply of housing structures that are both affordable and age-friendly to meet the needs of aging baby boomers. 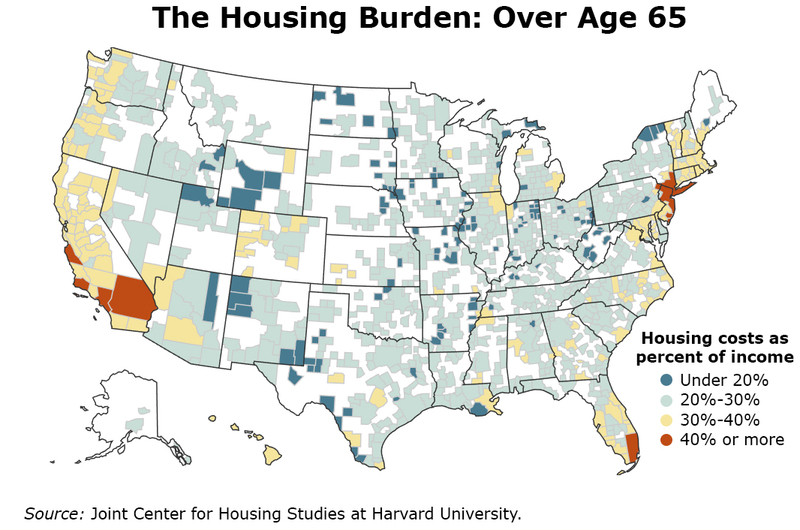 The number of households over 80 will more than double over the next 20 years, the housing center estimates. “Seven Up,” a famous British documentary series, interviewed 7-year-old schoolchildren in 1964 and filmed them every seven years after that. Over the documentary’s 49-year span, viewers watched the children’s lives take shape. A boy at an upper-crust boarding school goes to college and on to teach math at a prestigious private school. A girl educated in a working-class school in London’s East End is just able to make ends meet as an adult. A young equestrian from a wealthy family raises her own privileged children. A boy in an orphanage becomes a bricklayer. These personal profiles at the heart of “Seven Up” reverberate in a recent, unrelated, academic study that has reached a similar conclusion: parents’ investment in educating their children is the ticket to financial security as an adult. It’s long been known that people with high earnings tend to live longer than low earners. But this gap in life expectancy has widened into a gulf. For example, high-earning men born back in 1912 lived about eight months longer than their counterparts in the bottom half of the income range. This longevity gap increased to five years for men who were born in 1941 and are now in their late 70s. The disparity for women is similar, but not as extreme. This growing longevity gap has important implications for Social Security. The program’s intent is to be progressive – more generous to lower-income retirees. But the unequal life spans have significantly reduced that progressivity, concludes Matt Rutledge in a new synopsis of research in this area for the Center for Retirement Research, which sponsors this blog. The reason low-income workers are losing ground is that they don’t live as long, so they don’t collect Social Security for as many years as high-income workers do. The share of students borrowing money to pay for college increases year after year, and they’re borrowing more every year. 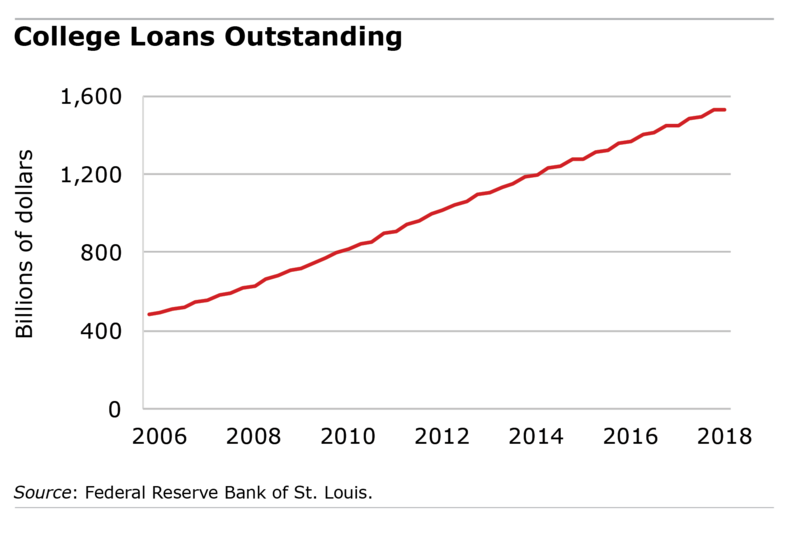 Total student debt, adjusted for inflation, has tripled in just over a decade. The loan payments, which can be a few hundred dollars a month, take a big bite out of young adults’ still-low levels of disposable income. The debt makes them more prone to bankruptcy and lower homeownership rates. After decades of study devoted to describing the negative effects of dementia, a new generation of researchers is pursuing a more encouraging line of inquiry: finding ways that seniors can slow the inevitable decline. One vein of this research, still in its infancy, considers whether seniors could reduce the risk of dementia if they engage in volunteer work. Several studies focus on volunteering, because most of the population with the greatest risk of dementia – people over age 65 – is no longer working. The study didn’t go so far as to claim that volunteering actually caused the improvements either. But it highlighted how volunteering might reduce the symptoms, possibly because it keeps older people more physically and mentally fit. The research confirms that she’s doing what she needs to do to stay sharp for her beloved job: aerobic exercise in particular protects seniors’ brain matter from deterioration; weight training and stretching exercises do not. When a marriage ends in divorce, there are no fewer than seven ways that it could damage a person’s finances. 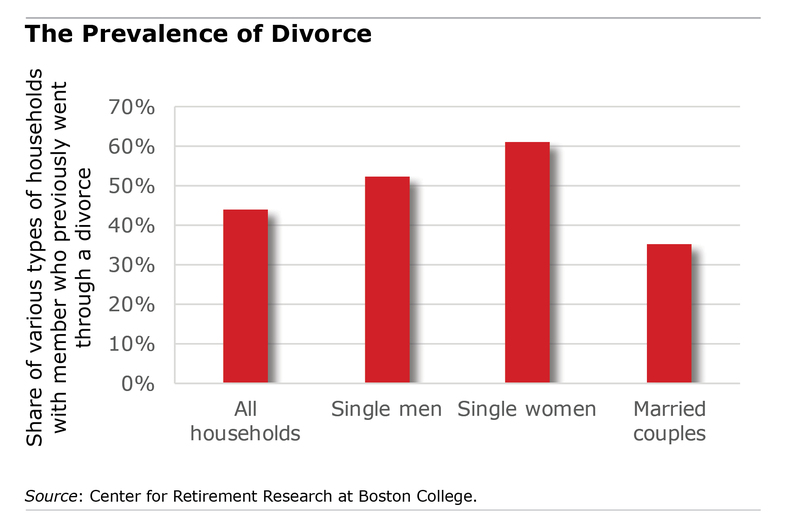 Divorce can rack up costly legal fees; force a house or stock sale in a down market; increase living expenses; increase tax rates; hamper the ability of the primary caregiver – mothers – to earn money; require fathers to pay alimony; and reduce each partner’s access to credit. It’s not difficult to find baby boomers out in the job market who will tell you that they have fewer employment options than they used to. The turning point occurs around age 55. According to a recent study, only 4 percent of people in their early 50s who find a new job are moving into what the researchers label as “old-person jobs” – that is, jobs in occupations that disproportionately employ older workers. The share in these jobs increases sharply, to 13 percent, by the time they reach their late 50s and to 22 percent in their early 60s. Given the more difficult job market, this cloud has a silver lining. 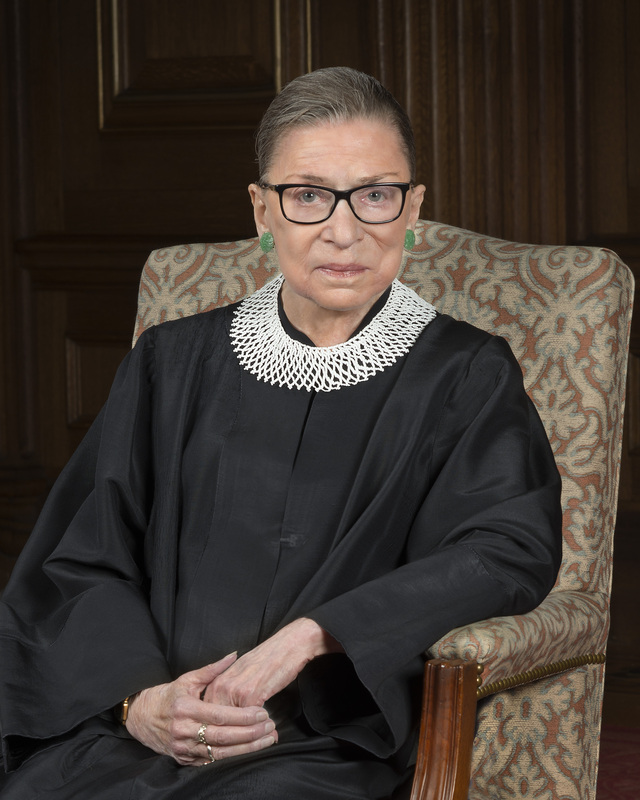 Older workers are actually better off today than they were in the late 1990s and have experienced a “broadening of occupational opportunities,” concluded researchers Matt Rutledge, Steve Sass, and Jorge Ramos-Mercado of the Center for Retirement Research, which sponsors this blog. Specifically, the situation has improved for two of the three age groups they analyzed. The share of new hires who are in their early 50s and end up in old-person jobs has fallen by more than two-thirds since the late 1990s. For people in their early 60s, it has fallen by nearly one-fifth. Various possible reasons for the improvement include an aging labor force – managers included. As managers age, they may become more amenable to hiring older workers.